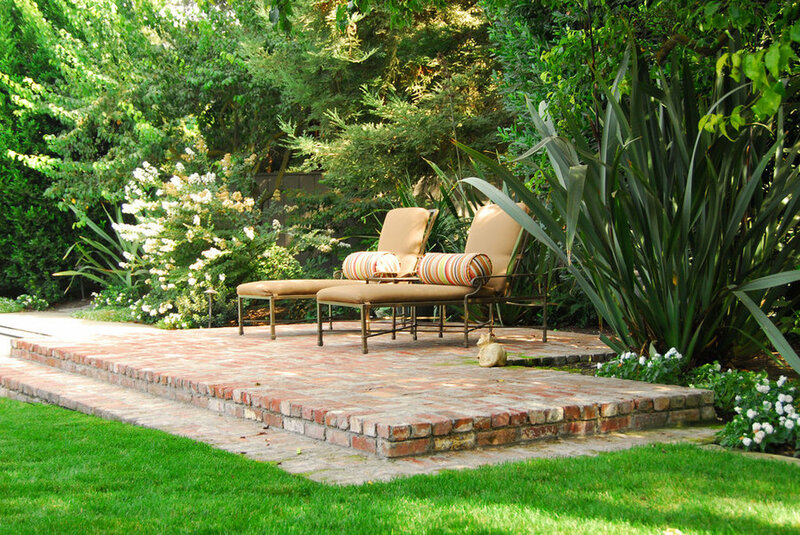 This elevated lounge area overlooks the pool and backyard and provides a restful spot to take in the view of the garden. 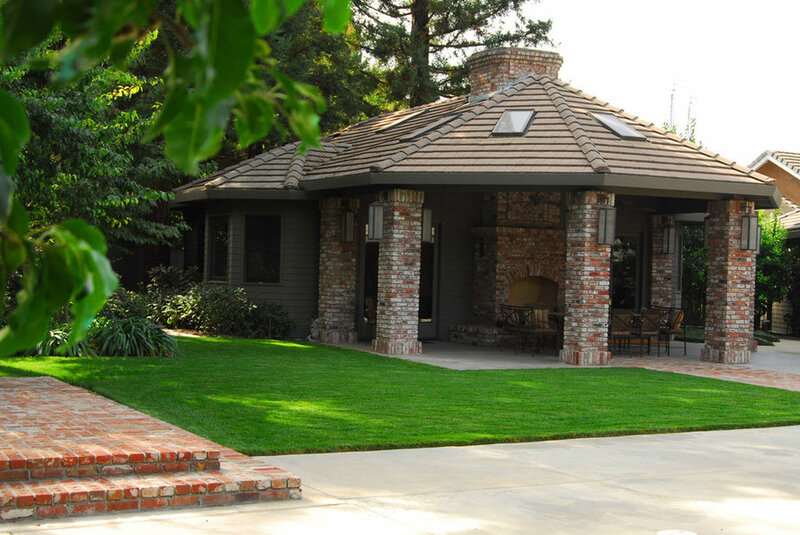 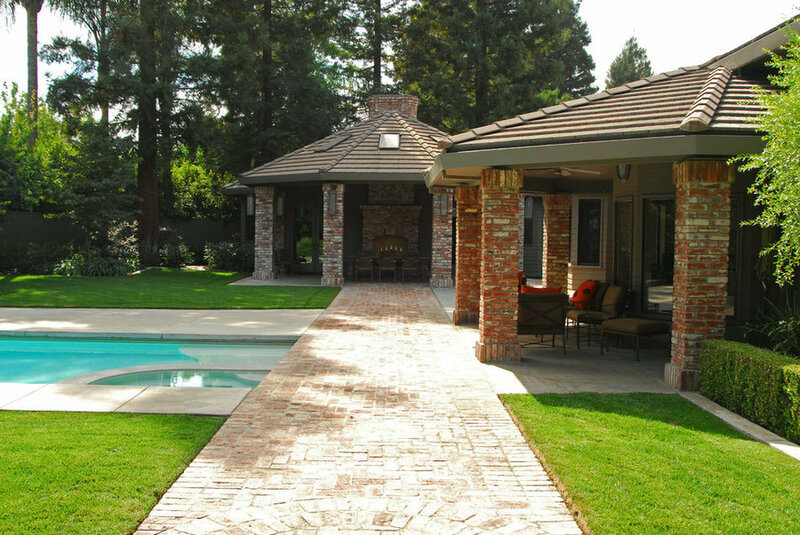 This backyard renovation included the siting of the guest house to align with the existing angle of the main house. 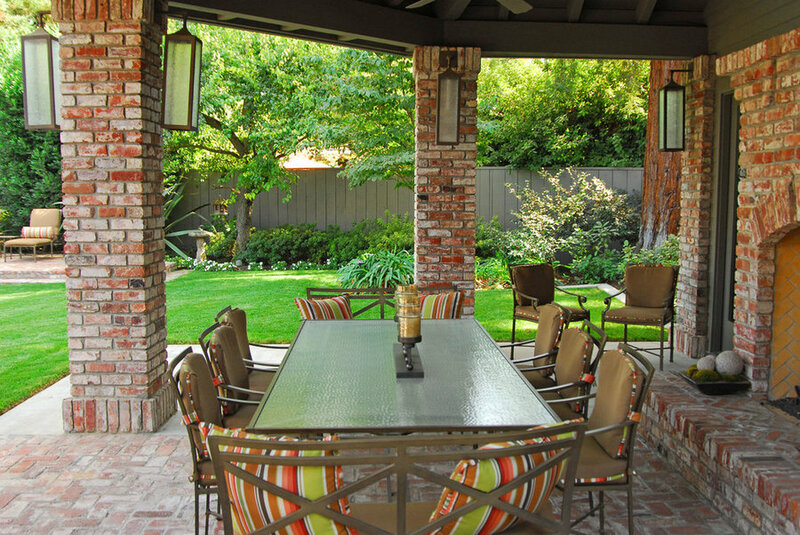 All new patio spaces were developed which matched the existing used brick. 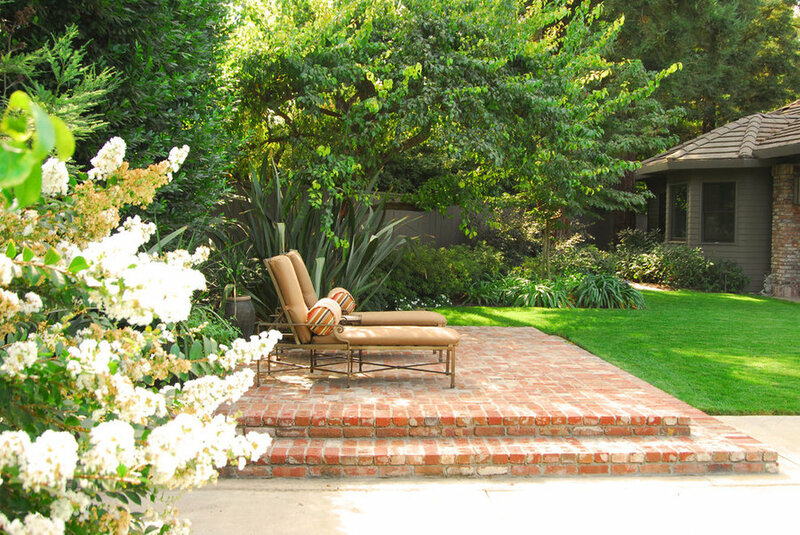 A plant palete of greens and whites completed the clean look of this garden renovation. 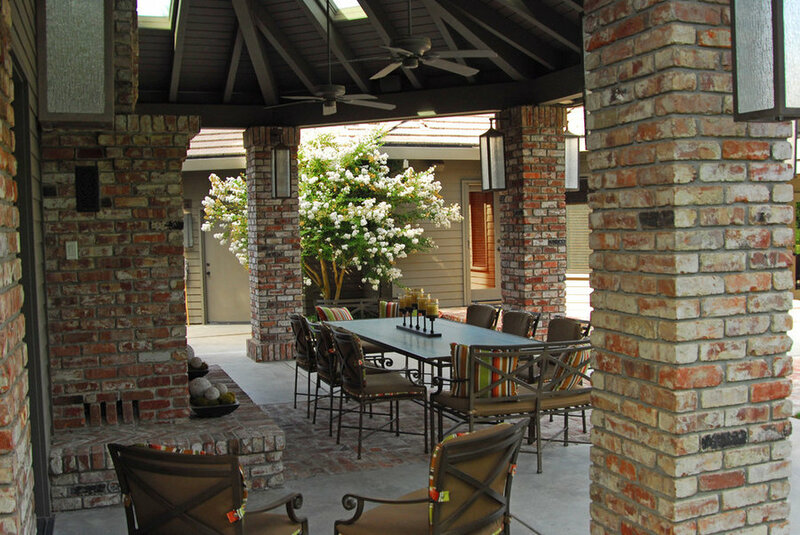 The covered dining area included an outdoor fireplace to help warm up on a cool evening. 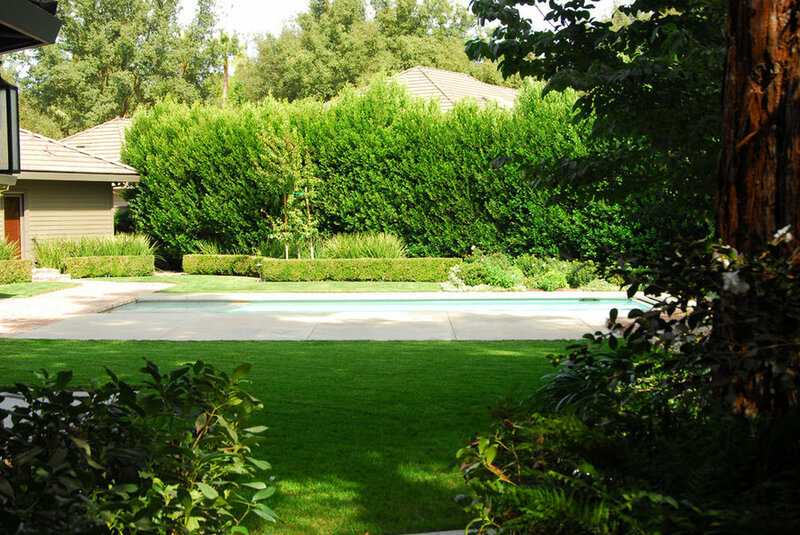 The views of the garden and pool help to create an enjoyable dining experience.